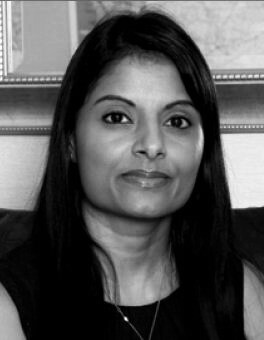 Sharla Pillay has been the Chief Executive of Transnet Pipelines at Transnet SOC Limited (Transnet Ltd.) since October 1, 2012 and served as its Chief Financial Officer of Transnet Pipelines until August 2007. Pillay served as Executive Manager of Finance and Corporate Financial Accountant at Transnet Ltd. and was responsible for management of the entire finance department. She developed Transnet Ltd's financial strategy in 2006 and was instrumental in rolling this out to all its terminals. In addition, she played a role in the strategic business planning process at Transnet Port Terminals and worked closely with each of the terminal executive committees in formulating their strategy. Pillay said that through hard work and dedication she has achieved her goals without compromising on her morals and values. She added, "I have also learnt from other peoples' experiences and to adapt and apply the lessons learnt. There were many challenges but these were never viewed as setbacks but rather stepping stones to success. Working in a very male dominated environment was challenging but was overcome when I learnt to become confident in my abilities and earned the respect of fellow colleagues." She added, "I have had many highlights in my career. My abilities and contribution to the organisation was recognised, which resulted in my promotions and ultimately to the current role as the Chief Executive of Transnet Pipelines. During my tenure at Transnet I received two awards for contributing to strengthening of the internal control environment at Transnet. I was recognized by the KZN Business Women's Association (BWA) and awarded the Business Executive for 2014. This was certainly a major highlight to be recognised by Industry. I was also nominated as a finalist in the Public Enterprises Sector for CEO Magazine's Most Influential Women in Business and Government Award. However, the ultimate highlight throughout my career was the ability to develop people and enhance talent." regrets. Take time to do the things that are important to you, both in the work place and in your personal life. In wise words of Robin Sharma, learn to say NO gracefully and learn to meditate. These principles have helped me keep a healthy work / life balance and have actually made me love my job at work and at home." In today's society, said Pillay, the disappointing fact is that women are placed in roles or positions to meet employment equity targets and are often not appointed based on their abilities, qualifications or experience. This destroys the essence of empowering women as you create a society where women are unskilled in senior positions and when they don't perform it's because they are women. Pillay added, "The other dilemma facing women is the work / life balance, especially for new or single mothers. You would find productivity lower and absenteeism higher with these women. Many organisations in South Africa have not equipped women with tools or facilities to enable them to achieve this balance and be productive at the workplace. We identified this need at Transnet Pipelines and developed a programme for women to help them find out who they really are, how to maximize on their potential, manage their finances and balance their lives." "I am grateful every day for the job I have as it has empowered me to make a positive difference in the lives of so many women and youth. My hopes for the future look bright as I know there are many people in world that are as passionate as I am about the development of women and youth and together we can make a huge difference. As Mahatma Gandhi says, "Be the change you want to see in the world" and if you don't like something change it and don't complain," said Pillay. Pillay concluded, "I believe my strong spiritual values play a significant role in my success as a mother, daughter, partner and leader."